o Factoring in risks to receivables, etc. • Solutions for wastewater, leakage, solar water pump, irrigation, recycle and reuse, groundwater flow, water desalination, etc. community and welfare schemes of rural development. It is necessary that Gram Panchayats perform their duties and responsibilities by more programmes and self-governance, work as per their expectations with certain goal and with foresight for social, human, economic and personal development and become committed to increase citizen services, create atmosphere of healthy competition. The session will witness the roleplay stories from few villages that have become prosperous and smart. Housing: Housing affordability, low-cost housing, materials selection, energy and water solutions, sanitation, reusability and recycling of waste, skill development, environmental design, disaster resilience, etc. Infrastructure: Construction and maintenance of roads and other forms of infrastructure, access to education and health care, provision of services, including energy, potable water, waste and sewage management, creation of public spaces, ICT applications and operations, etc. Sustainability: Environmental, Social, and Economic sustainability, etc. Smart Governance: ICT and data-driven solutions, machine learning applications, alternative forms of governance, etc. 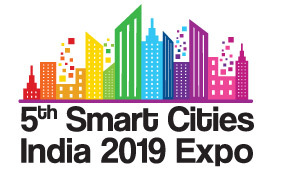 The session will facilitate the discussion that supports more concrete articulation of the relationship between the concept of Smart Cities, that in some countries is referred to as the Right to the City, and the 2030 Agenda for Sustainable Development.